When I was a child, my family and I used to visit Austria every summer. 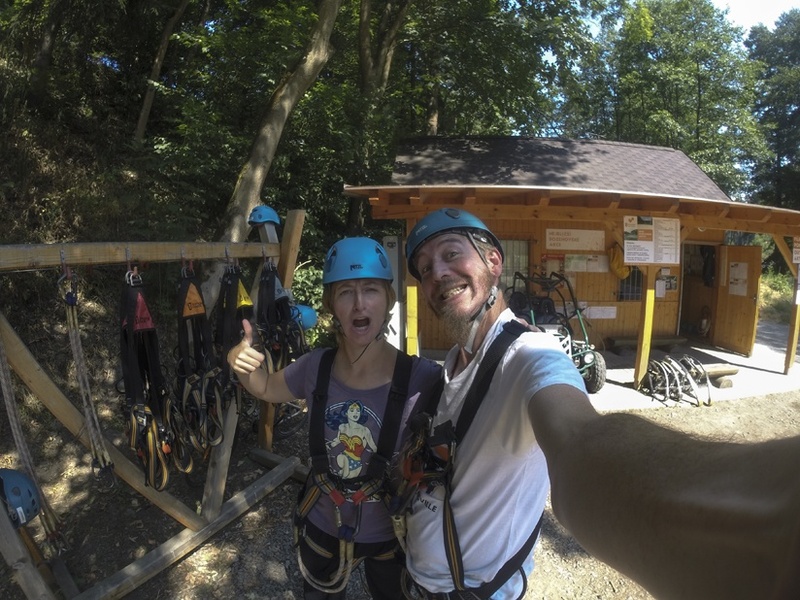 We went to a place called Keutschach in Karnten, and stayed at a hotel immersed in nature. There was a lake on one side, with a pontoon to dive from, and meadows, hills and forests on the other. For a city child like myself, this was a breath of fresh air. I could run, climb and chase at will. The hotel had everything a child might want – a playground with wooden castles to climb on, lots and lots of space, and even a tent with a strange old dude that organised craft workshops for children every night. Sure, there were loads of things to see and do in the area – but somehow, that hotel/residence was the place to be. It wasn’t a stepping stone to a destination – it was THE destination. 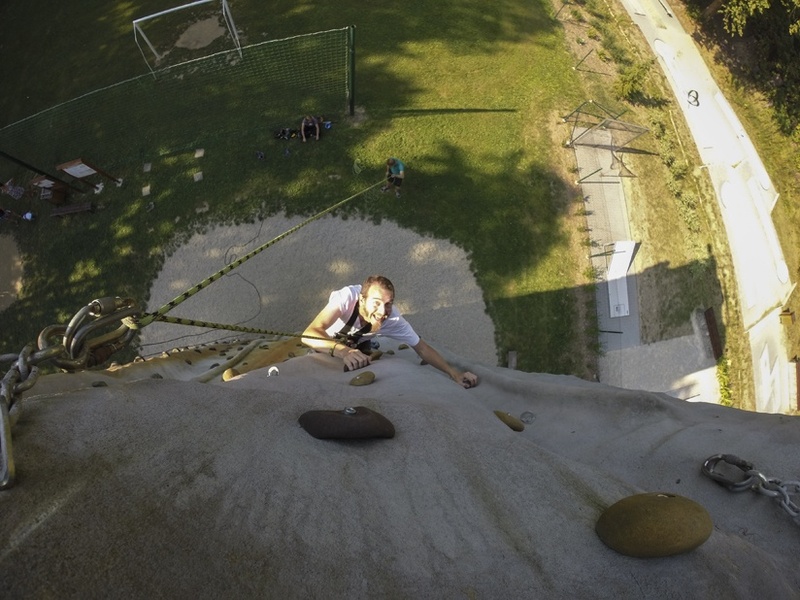 A challenging section of the Adrenaline Park, Bozenov! Nowadays, as frequent travellers, hotels are just places to rest our weary heads between one bout of sightseeing and another. We never spend the whole day at a hotel, unless we have to do some work – I might visit the spa for an hour or so, or we might spend time lounging at the lobby or by the pool, but the whole day? Never. 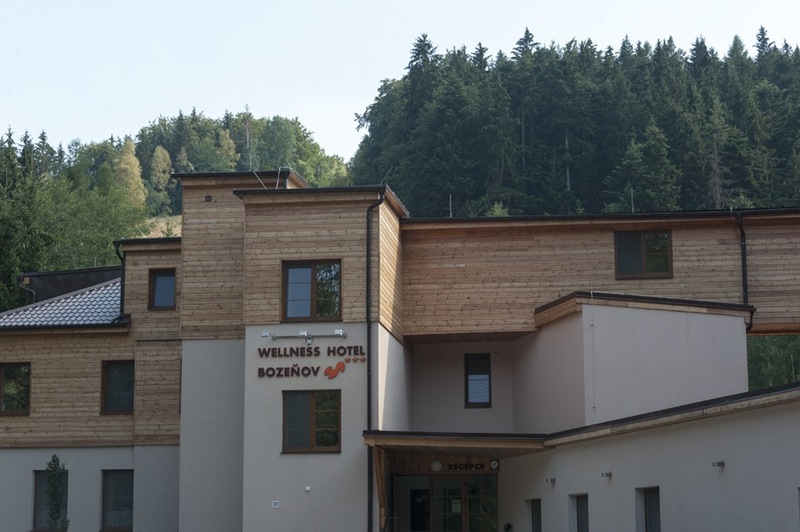 When we got to Bozenov, an adventure and wellness hotel in the Moravian mountains, we thought that’s it, this is the destination. 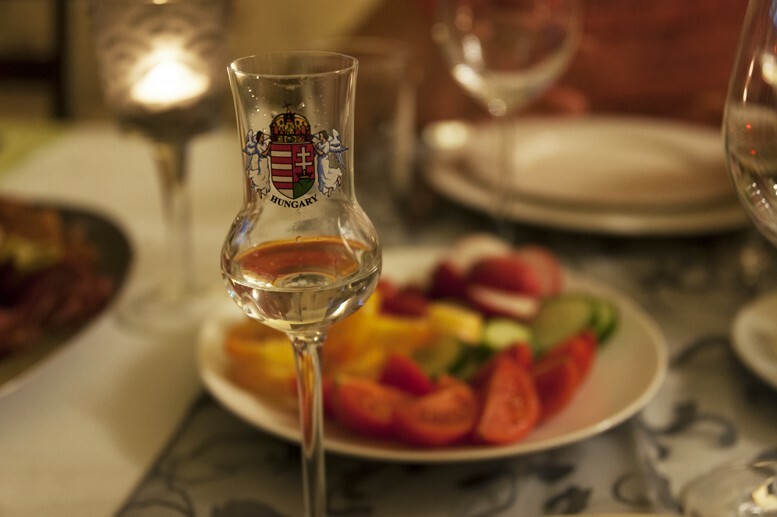 Don’t get me wrong, Moravia is beautiful – it’s a place of forests, hills and castles, with stunning scenery, excellent beer and good, hearty Czech fare. 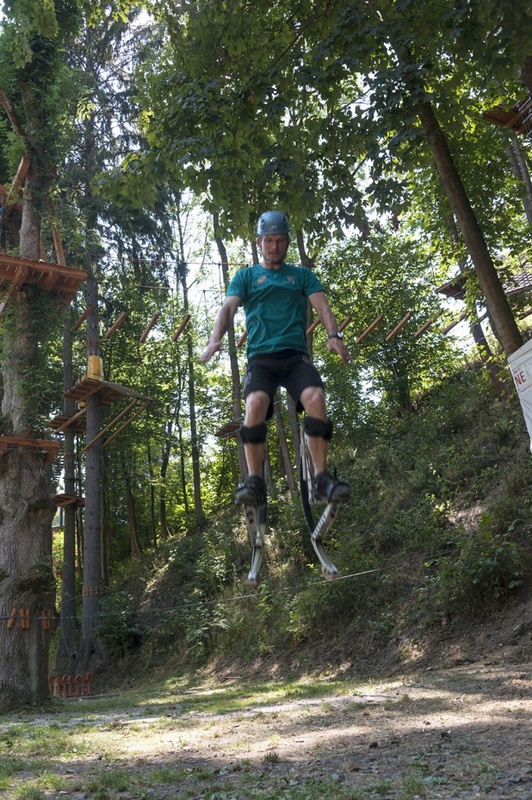 Yet, at Bozenov there’s so much to do, that a day is not even enough to try all activities on offer. Plus, the location is stunning. For the first time in 20 years, we stayed at a hotel that WAS the destination. I mean, who wants to leave when you’ve got THIS 5 mins from your doorstep? Lets start from the beginning. 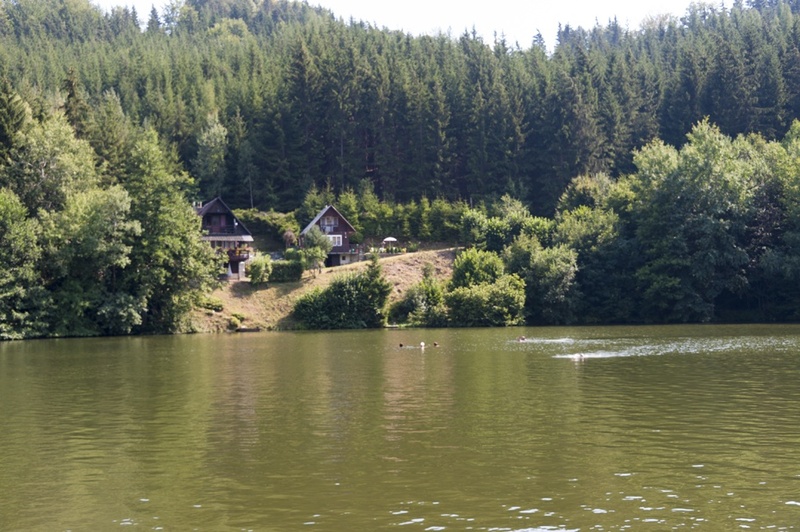 Bozenov is set in a secluded location in the middle of nature, 15 km from the train station of Zabreh na Morave. If you’re travelling by public transport, there are two daily buses from the station to the hotel, alternatively the hotel can arrange a transfer for you. On one side of the hotel, there’s a massive lake surrounded by hills and forest. 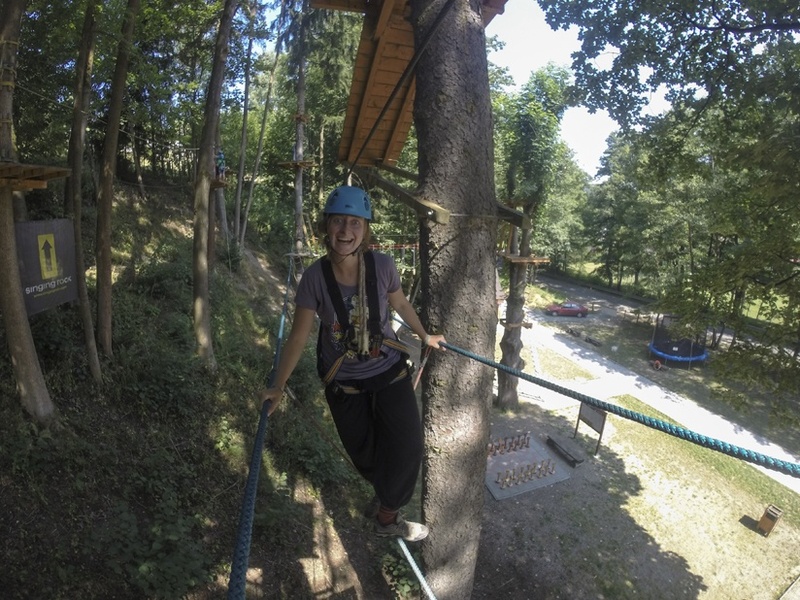 On the other, there’s an adventure park – which is where we spent the whole day, and the reason why we had so much fun in this place. 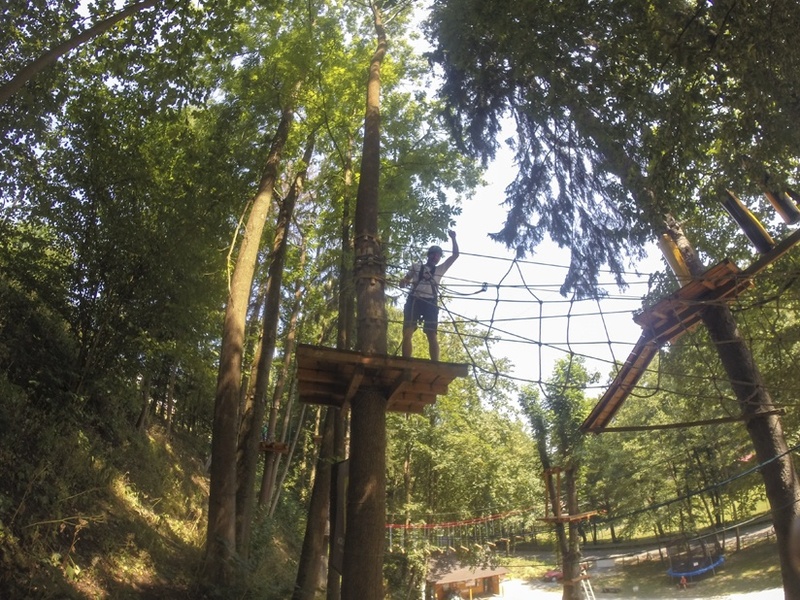 The centrepiece of the ‘Adrenaline Park’ – that’s actually the correct name – is an obstacle course among the trees. I had seen these before, and thought they were nothing more than children’s games – but we were curious to give it a go. Easy? Not quite. The ‘Tibetan Bridge’! Let me tell you, the ‘adrenaline’ in the name is there for a reason. 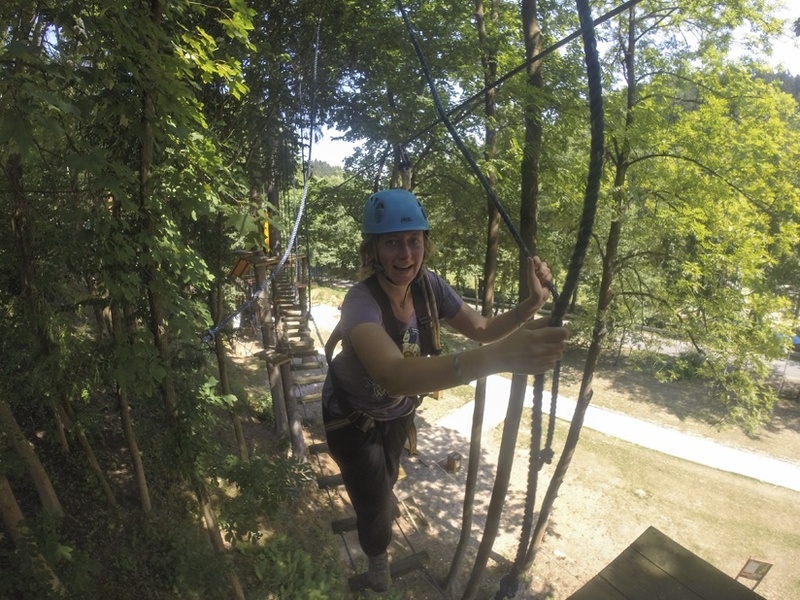 After having climbed a 27 meter tree just a few days before, I was feeling like a superhero, and thought it was going to be a laugh. 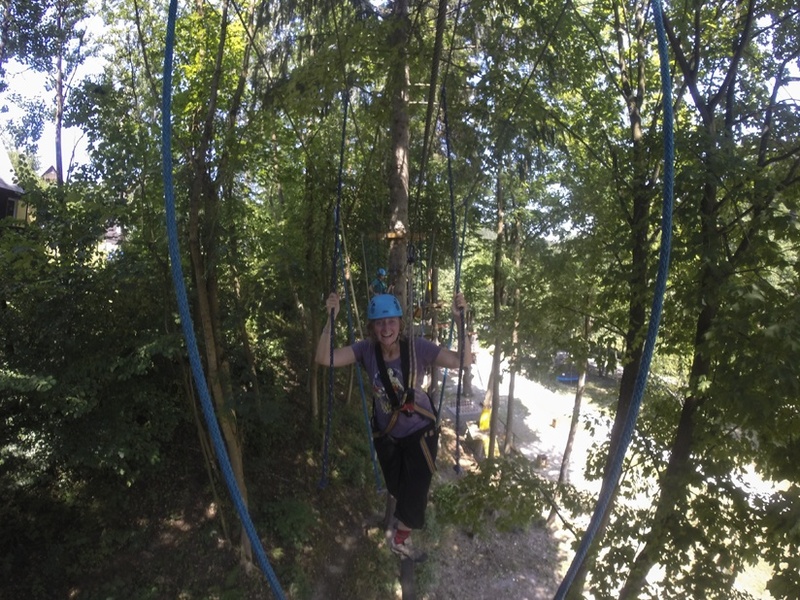 Two hours later, I emerged sweaty, bruised and knackered from the treetops, after battling my way through the obstacle course. It wasn’t easy at all. 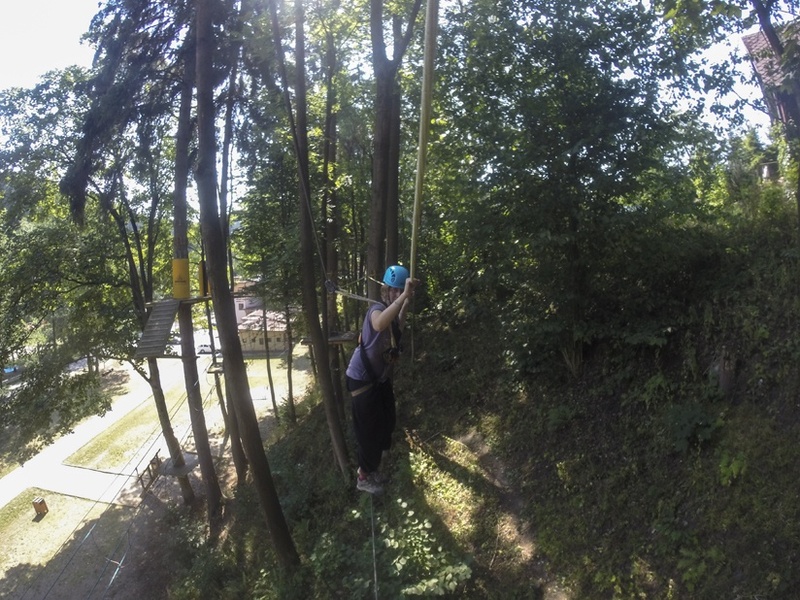 Sometimes, we had to swing on ropes Tarzan-style from a tree to another. 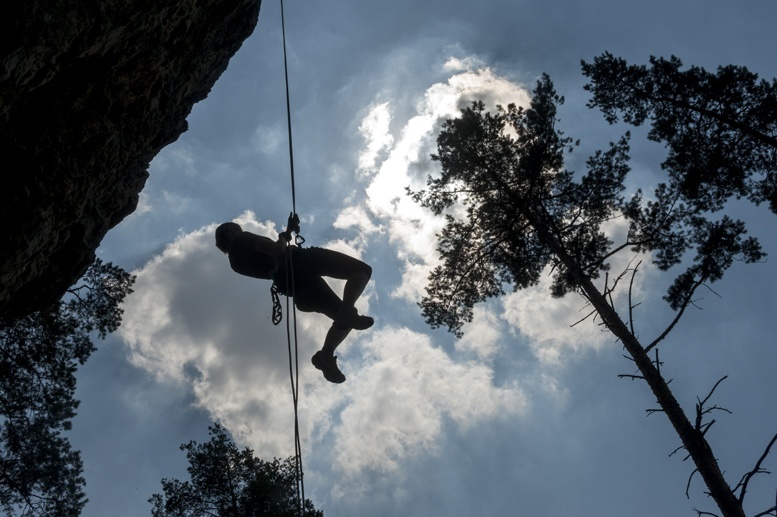 Other times, we had to walk on wobbly logs hanging from a rope, or walk on the ‘Tibetan bridge’ – a thin rope with two other ropes to hang on to. Oh, and that was just the beginning. 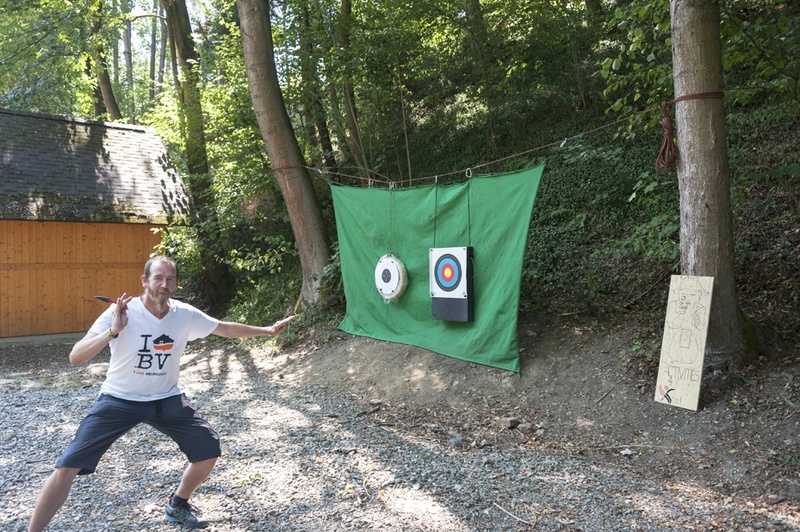 When I asked what else was available, our guide listed half a dozen activities – some of which I had never heard of. 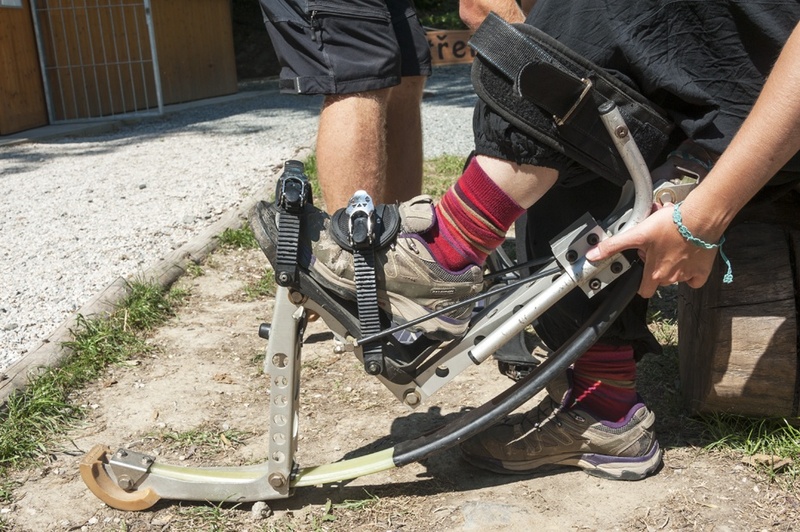 So, without further ado, we strapped on a pair of ‘jumping shoes’ – some contraptions that are half pogo-sticks, half stilts. We limped and wobbled for a while, hanging onto fences and trees, before we finally managed to let go, and even hopped for a bit. 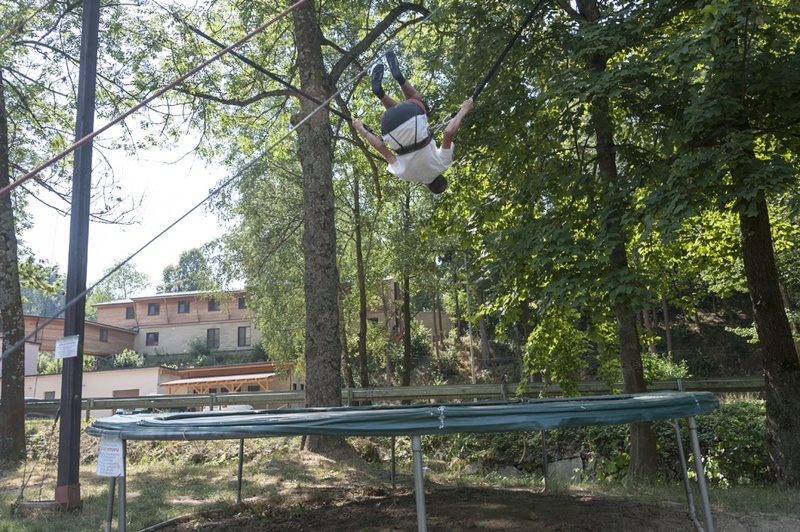 I must say, it was fun but I didn’t fall in love with ‘jumping shoes’ – and a think it would take me a hell of a lot of time to get as good as him! 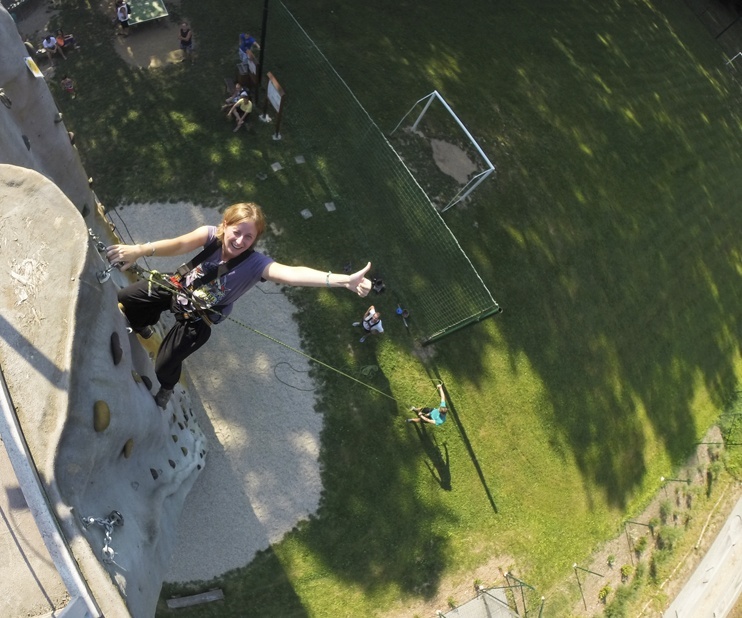 We spent the rest of the day trying out pretty much all the activities on offer at the ‘Adrenaline Park’ – Nick showed off doing backflips on the bungee trampoline, then we both had a go at the climbing wall, one of our favourite activities back home. 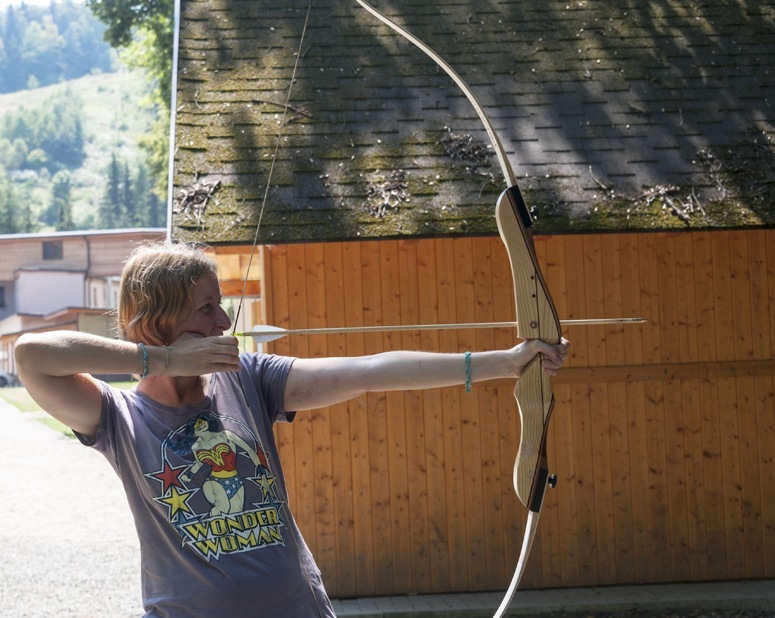 That afternoon, we also took an archery lesson, and we got to try a variety of bows. 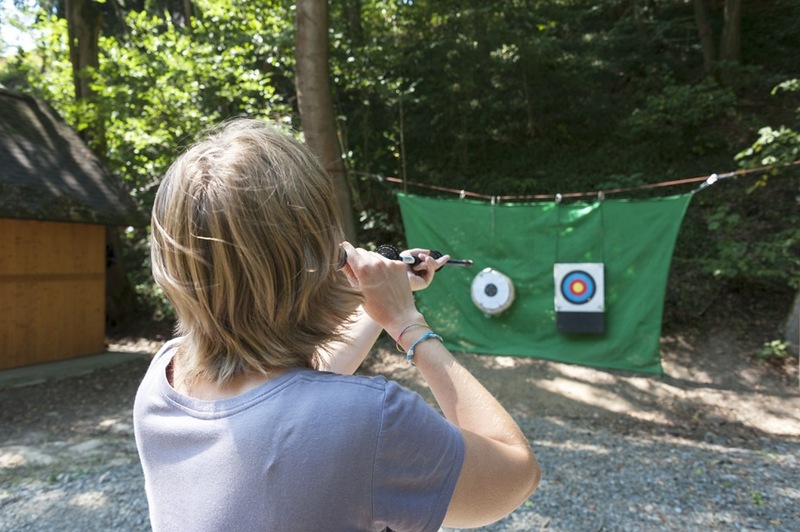 At first, we didn’t even come close to hitting targets – let alone the bull’s eye. Our arrows either ended up in the trees behind, or in the path just in front of us. 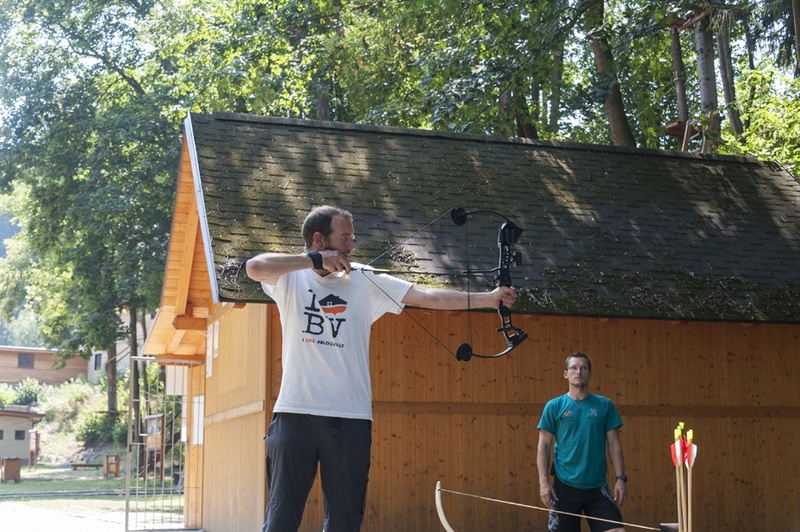 But after a few attempts, we managed to unleash our inner Katniss (Margherita) and Hawkeye (Nick) and scored some pretty good shots. After spending about 6 hours at the Adrenaline Park, we were absolutely exhausted. The lake was quite crowded, as it was the height of holiday season. So, we headed to the hotel spa for some much-needed rest. The spa includes a Finnish sauna, herbal steam bath, water beds, plunge pool and a whirlpool bath – plus a variety of massages and treatments. Treatments on offer include a stone massage, aromatherapy massage with scented candles and Bozenov’s own specialty, ‘massage of our valley’, that combines a classical massage and hot lava stones placed on the body. The Wellness Centre also offers herbal body wraps and thermal wraps – something I’d never heard of before, but I’d love to try. Not having reserved a massage in advance, we just checked out the sauna, steam bath and plunge pool, and emerged refreshed and regenerated – even though we worked out so much in the Adrenaline Park that the pains would accompany us for the next three days. 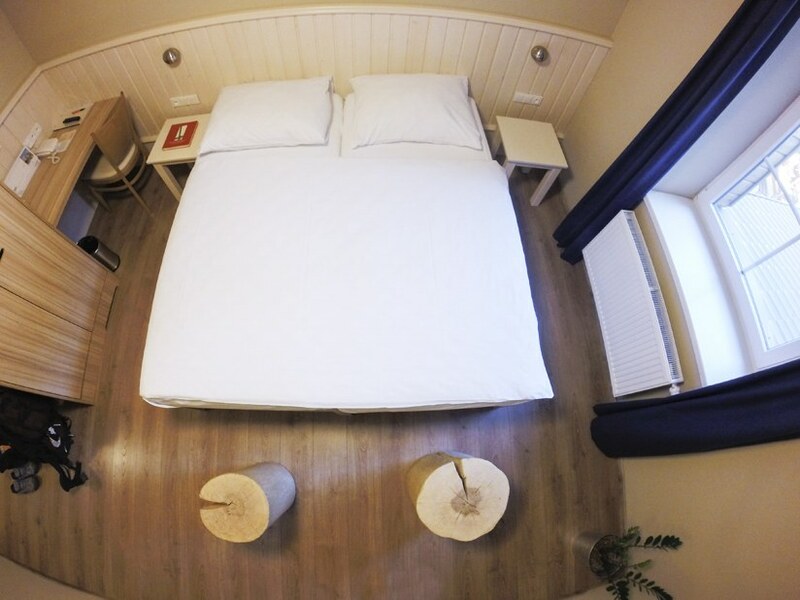 Our hotel room was lovely and comfortable, with wooden furniture and soft cotton sheets, and two wooden logs to be used as bedside tables. Wi-fi worked very well at all times. The hotel is 3 stars, so don’t expect luxury – just honest comfort. The room overlooked the outdoors area of the restaurant and bar, so we were afraid it might end up being noisy at night – but somewhat, the noise died down at 10 pm, ensuring a good night’s sleep for everyone. During out two day’s stay at Bozenov, we had the chance to try both the set menu offered as part of half board, and the a la carte offer. The set menu was especially good value at only 150 CZK per person – we had a starter of melon and prosciutto and a main course of stuffed pork roast with potatoes. One of the most peculiar things we tried at Bozenov was the Moravian cheese tartare, a mixture of finely diced cheese mixed with onions and other veggies, and served with toasted bread and a herb dressing. It was surprisingly delicious, and perfect for a mid-afternoon snack with a pint of Czech beer. 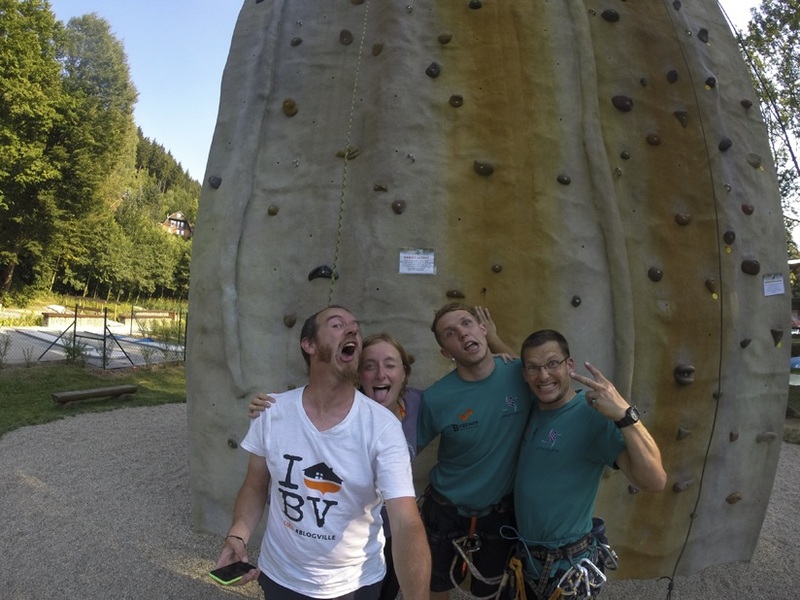 We loved our time at Bozenov, and would gladly have stayed a few extra days. 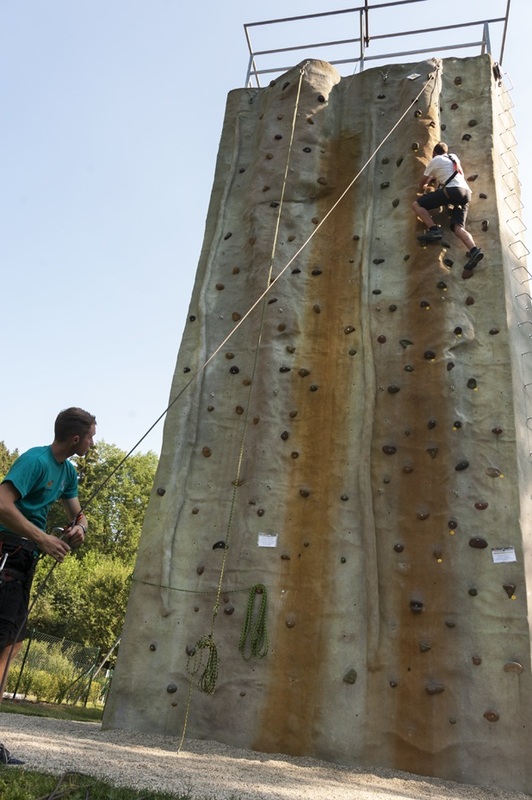 Not having a car meant that we couldn’t tour the area, but that wasn’t a problem as the activities on offer in the hotel kept us busy – and we didn’t even get to try everything. 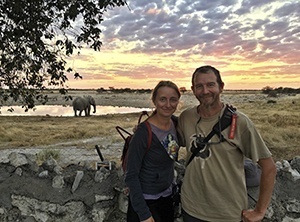 Bozenov is a great choice if you want to have a break from city life, but don’t want to go through the hassle of having to arrange hikes or other outdoor activities through an external operator. 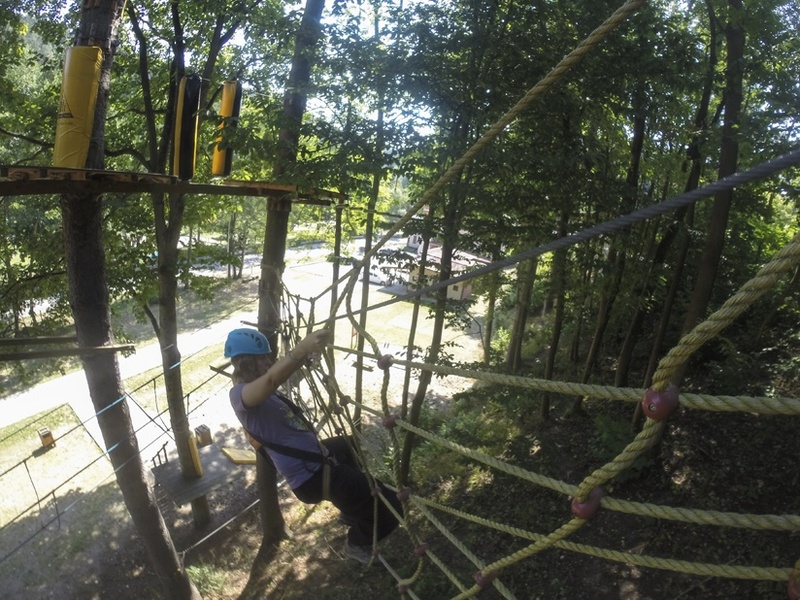 Everything is literally on you doorstep – and tackling the obstacle course will give you an adrenaline rush. The spa and great food make the experience even better! 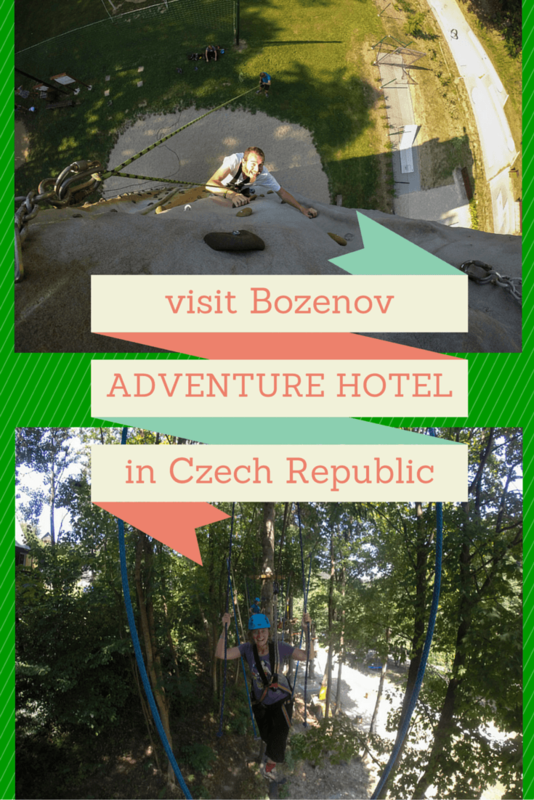 We were invited by Bozenov Hotel to stay at their hotel and try out some of their activities. 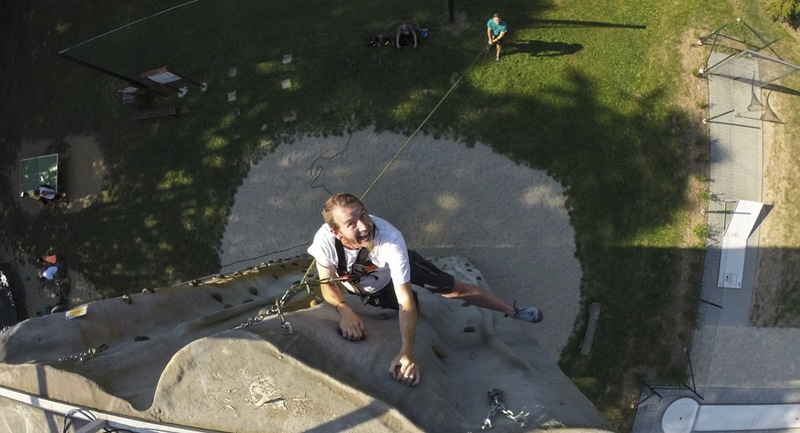 All opinions are our own – including sweaty bodies, muscle pains and crazy laughs! That sounds like such a great hotel! Would you recommend it for families as well? I LOVE this post! I think that for budget travelers (and not necessarily even “budget,” but for most travelers outside of the destination resort holiday set), hotels are so rarely the destination. This place sounds like heaps of fun! It’s always great to spend your vacation at some adventurous place. 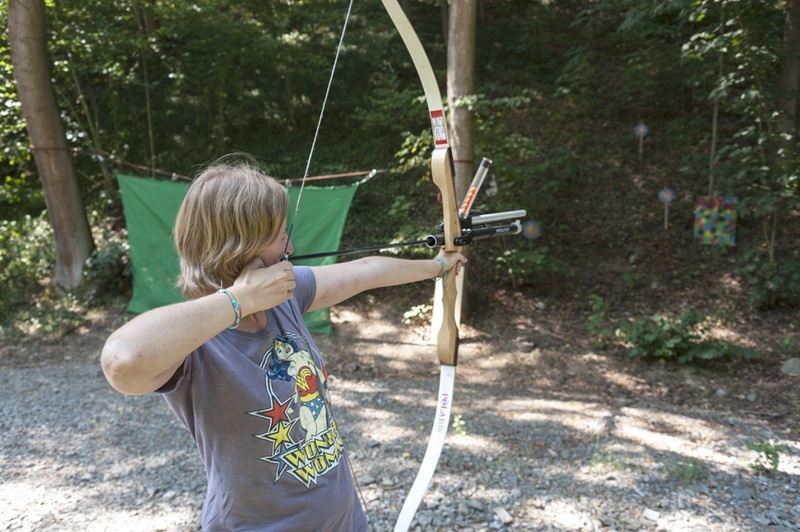 I love archery and planning to learn soon. 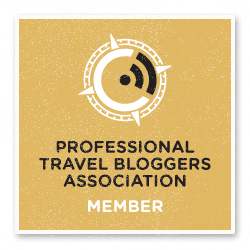 Thanks for this lovely blog.